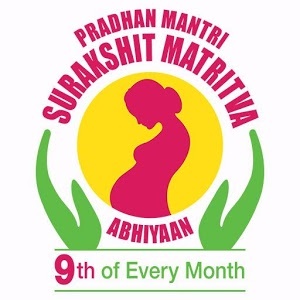 Pradhan Mantri Surakshit Matritva Abhiyan (PMSMA) programme, which provides free health check-ups to pregnant women at government health centres and hospitals, has crossed one crore mark in antenatal check-ups. The Union Health Minister J P Nadda stated that Hon’ble Prime Minister of India had envisioned that 9th of every month, symbolizing the 9 months of pregnancy, should be dedicated to pregnant women. The programme has been successful in reaching out to the difficult and remote areas of India, since out of the 1 crore checkups across the country, more than 25 lakh check-ups were conducted in high priority districts identified by the Health Ministry for focussed attention. While all States/ UTs have made significant efforts to reach out to pregnant women, Maharashtra has reported the largest number of check-ups among the Non-Empowered Action Group (EAG) States and Rajasthan has reported the largest number of check-ups among the Empowered Action Group States. All pregnant women visiting the PMSMA sites are examined by an obstetrician / physician and appropriately investigated. It is scheme implemented by Health Ministry to provide free health check-ups to pregnant women at government health centres and hospitals in both rural and urban areas. The national programme aims to provide pregnant ladies free ante-natal services (ANC) and required treatment for free on 9th of every month. The scheme is applicable only for pregnant women in their pregnancy period of 3 to 6 months. Its objectives include providing healthy life to the pregnant women, lowering the maternity mortality rate, making pregnant women aware of their health issues and carrying out safe delivery of the baby. The scheme provides all kinds of medical checkups completely free to pregnant women. These checkups take place at medical centres, government and private clinics across the country. These free of cost tests includes blood pressure, sugar level, weight, haemoglobin test, blood test and screening. Women are marked differently using different colour stickers based on their health problems so that doctors can easily detect the problem. Different colour stickers will be Red Sticker for Serious patients, Blue Sticker for High blood pressure and Yellow Sticker for Other diseases.